Please contact us if you face any difficulties, so that our developer team can assist you. 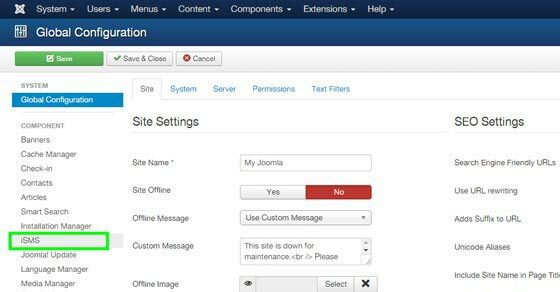 Use your username and password to log into your company's account in Joomla. 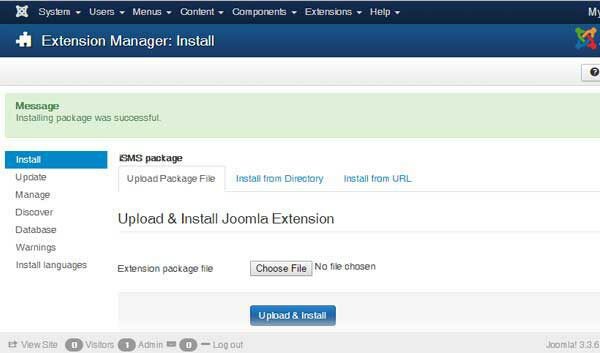 Go to to Extensions > Extension Manager in Joomla Control Panel. You will then be navigated to the interface below. Click on the "Choose File" button. A window will pop up. 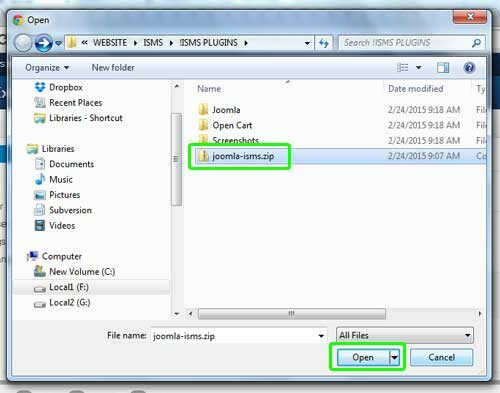 Select the "sms_notification.zip" plugin folder that you have downloaded from Joomla and click "Open". You will see the folder name beside the "Choose file" button. 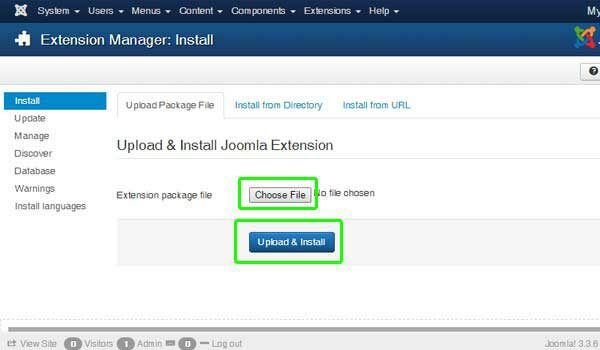 Click on the "Upload & Install" button. A message notifying you that 'Installing package was successful' will appear at the top. 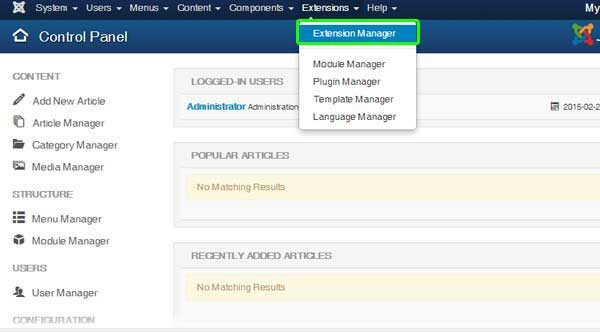 Go to to Extensions > Plugin Manager. 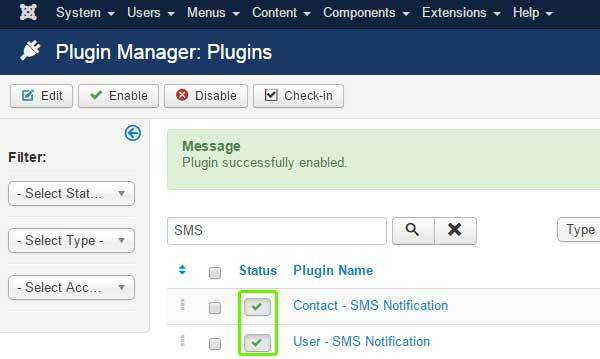 Search SMS and you will see our SMS Notification plugin in disabled status. 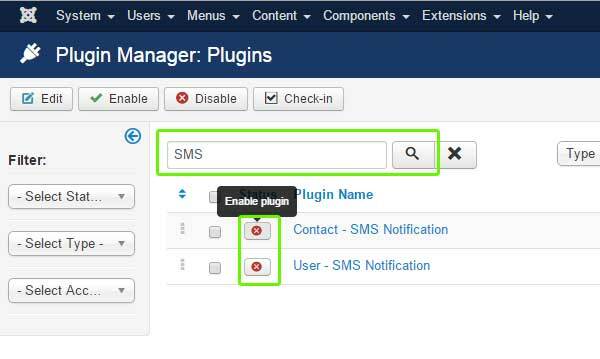 Click on the buttons next to "Contact - SMS Notification" to enable the plugins. 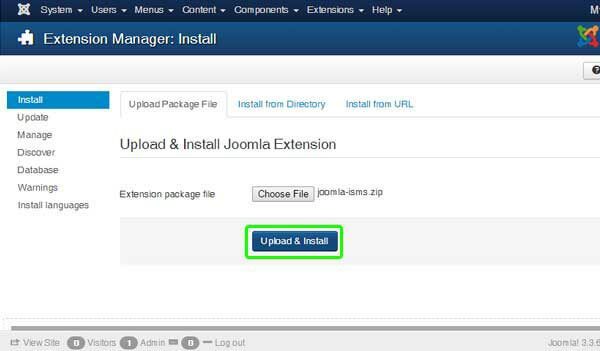 When the plugin is successfully enabled, you will see a message at the top. 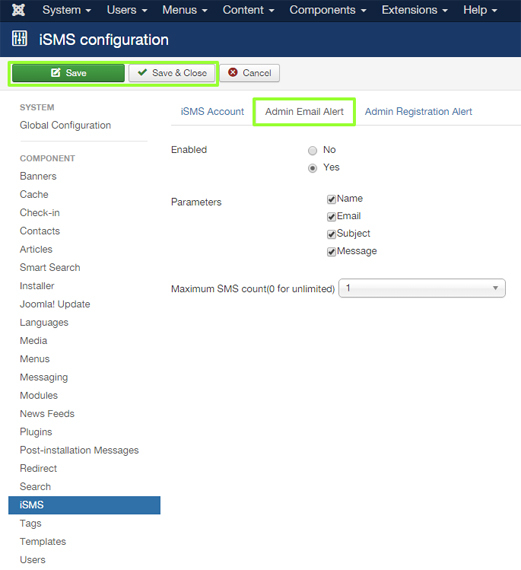 Navigate to System > Global Configuration for the next step after you have configured iSMS settings. Select the "iSMS" tab in the left column as shown below. Then, you must key in your details in the fields below. Click on the 'Admin Email Alert' tab. Save your settings after you have completed. 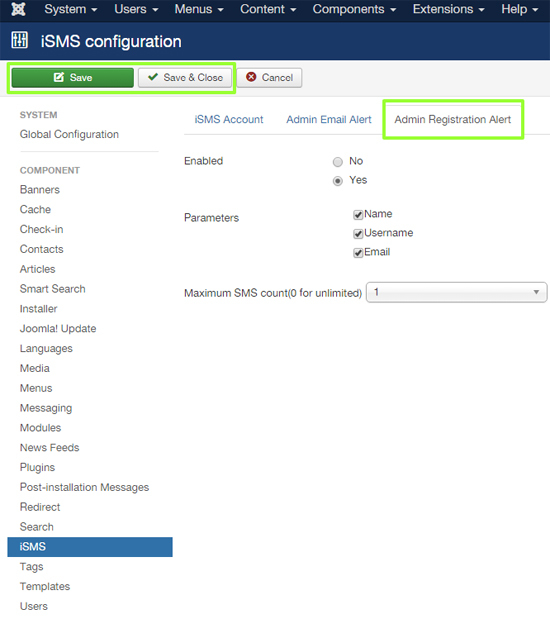 Click on the 'Admin Registration Alert' tab. Save your settings after you have completed. 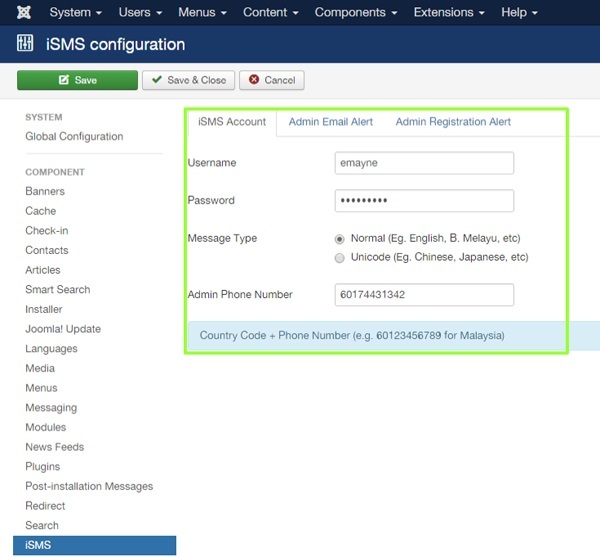 To use our iSMS feature in Joomla, go to Components > iSMS. This section will allow you to send SMS to your receivers. 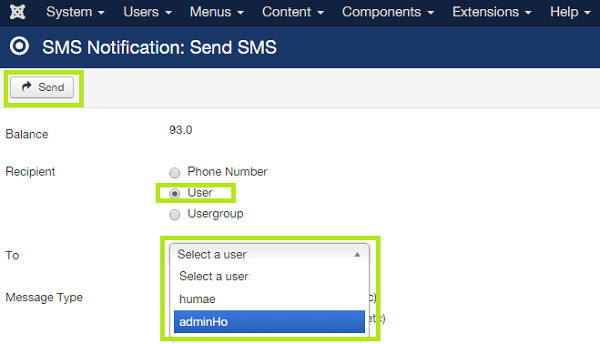 Just fill in the details and choose if the contacts are in your user group or contact. 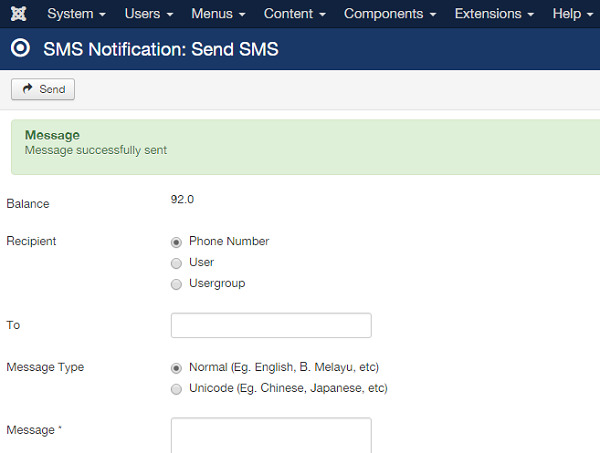 Besides that, you can also select User to send bulk SMS to the person that you wish to send. 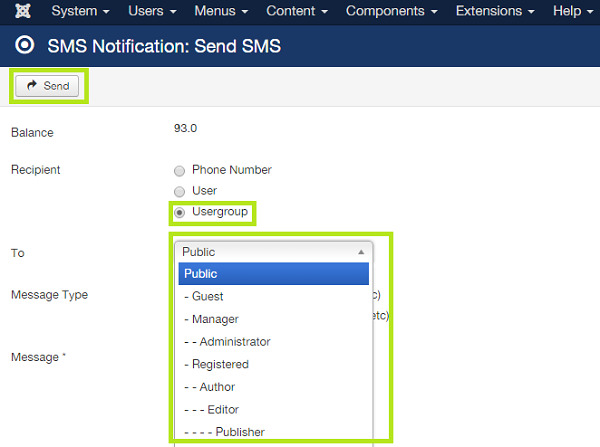 If you select Contact Group, you will see a select box and you can select the group of users you would like to send SMS to. 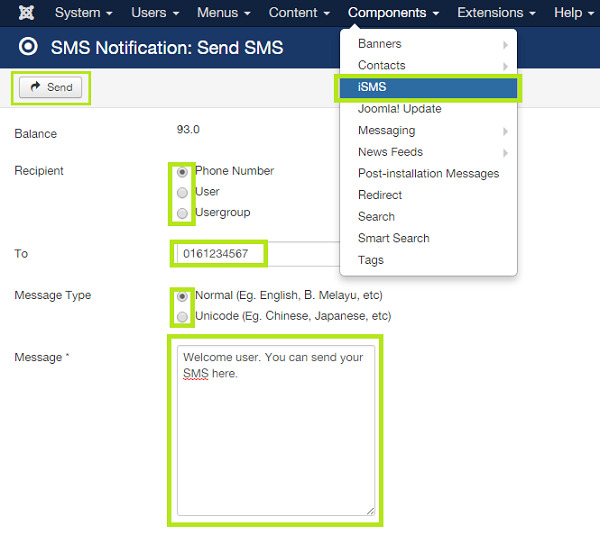 Lastly, click "Send" after finalising your SMS message and your receipients will receive your SMS in a moment.